UPDATE: This is still on this evening – though we know lots of people will be otherwise engaged. We should talk a little about how to engage with the DBC draft Local Plan, because the next Dartford Natters – 19th January – is less than two weeks before the consultation deadline. Lots of questions – how can we divide the labour of understanding and responding (e.g. as groups or as individuals), does it really make a difference, what should we ask of the Council to make this process accessible, what will the Council find usable and useful? Then… I may dish out the odd mince pie, if the pub doesn’t mind. This is a week later than the usual monthly date because of various meetings and commitments on the 15th. It’s quite close to Christmas, so who knows what sort of turn-out we will get. But maybe lots of people will be in a festive mood by then. I’m going to have a word with the pub and see if, one way or another, we can get mince pies on the agenda. We do have a bit of serious business first. 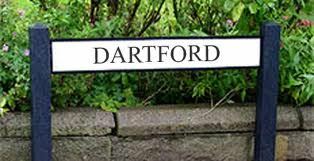 The Borough Council is going to be consulting on the Dartford Local Plan and Development Policies Document from December 12th to January 30th. This sets the policies against which individual planning applications and other plans are assessed. So commenting on it is probably a more effective way of having some say in what happens locally, than dealing with individual applications as and when they arise. Basically if you have ever grumbled about particular changes in Dartford, then you should at least look at this plan and, ideally, submit some kind of constructive comment. That said, it’s a big and quite technical document. I have asked the Council where it will be possible to get hold of hard copies, as it’s a bit of a hefty thing to print out yourself from the internet. I haven’t had an informative answer yet. We should also consider whether the Council needs to do more to highlight the key decisions involved in this plan and make them accessible to local people – above and beyond the document itself. That’s something we should discuss at Dartford Natters, and also what scope there is for groups – including the informal Facebook groups – to pool their resources in understanding and assessing the plan. I will be writing more about this over the next few days and sharing a link to the draft once the consultation becomes official. But, for now, that’s the agenda for the 22nd – discuss how we can get involved, and get the maximum number of other local people involved, in constructive consultation over this plan. Then enjoy that sitting-in-a-pub-just-before-Christmas feeling and hopefully the odd Christmas comestible. ← November’s Dartford Natters meet up.